So, I love Twin Peaks. I love it with a passion for the mystery and sheer oddity of the town and its inhabitants. That’s why I was so sad to hear of Catherine E. Coulson’s passing. 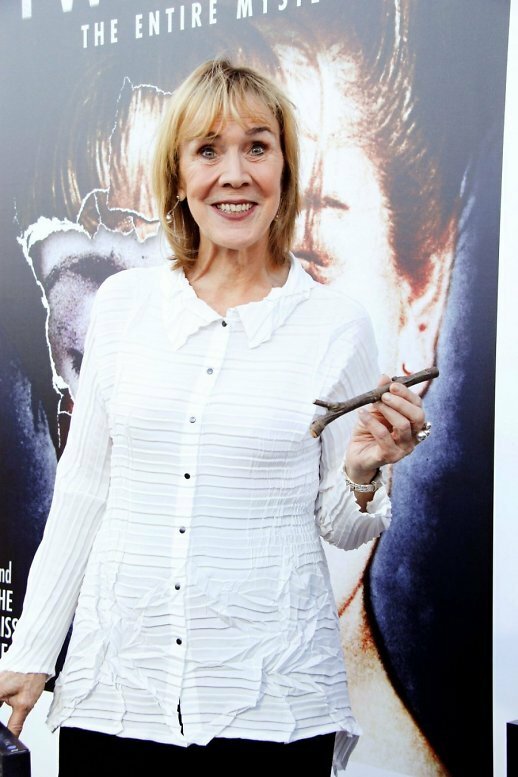 The actress and camera assistant was most well-known for playing the Log Lady on David Lynch’s strange television saga. The role is one of the most iconic and memorable on the television series. 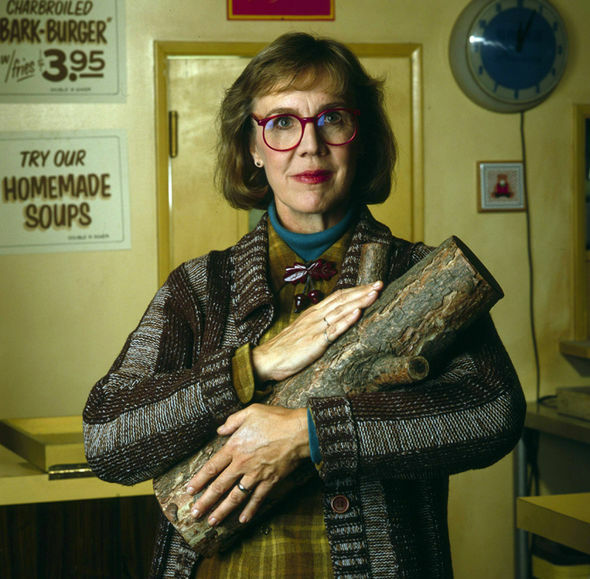 Coulson and Lynch collaborated together on the ideas that eventually formed Twin Peaks, and she portrayed the Log Lady in multiple episodes as well as the follow-up film Twin Peaks: Fire Walk With Me. She was also set to appear in the upcoming revival series, but it is unknown if any scenes were actually filmed before her passing. Happy Batman Day! 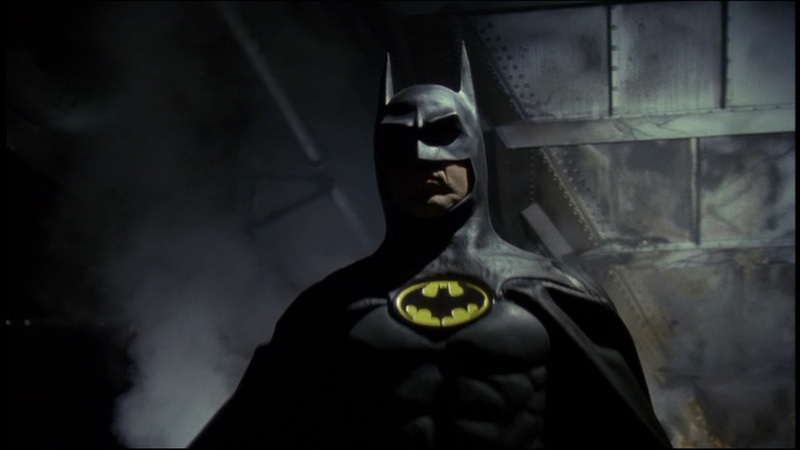 I think, in honor of the legendary Caped Crusader’s special day, we should look back on the 1989 Tim Burton (Edward Scissorhands, Big Eyes) film, Batman, featuring Michael Keaton (Birdman, Minions) as the tycoon-turned-hero. On the dark criminal-filled streets of Gotham, tough guy Jack Napier (Jack Nicholson, The Shining, How Do You Know) has been betrayed by his boss, villainous gangster Carl Grissom (Jack Palance, The Swan Princess, Tango & Cash) and now, disfigured by a vat of toxic chemicals, he has donned a new persona, the Joker. Commissioner James Gordon (Pat Hingle, The Land Before Time, Talladega Nights: The Ballad of Ricky Bobby) and District Attorney Harvey Dent (Billy Dee Williams, Star Wars – Episode V: The Empire Strikes Back, Fanboys) are powerless to stop him, but there is hope in the guise of the near-mythical masked vigilante Batman (Keaton) to stop the incoming crimewave. Batman is a strange but not entirely out of line choice for director Tim Burton, who had previously worked on dark horror-comedies like Beetlejuice and the short film Frankenweenie. Burton had a very tall order to deliver on, having a pantheon of stories to honor is his depiction of Bruce Wayne and his story, and fans were not too thrilled with the decision to cast Keaton in the role. I think I can say wholeheartedly that fans were proven wrong. Michael Keaton kills it in this role. His decision to play Bruce as an unhinged man, fully committed to his insane lifestyle is what drives his performance home. He fits perfectly in Burton’s over-the-top occasionally overtly-goofied version of Gotham. 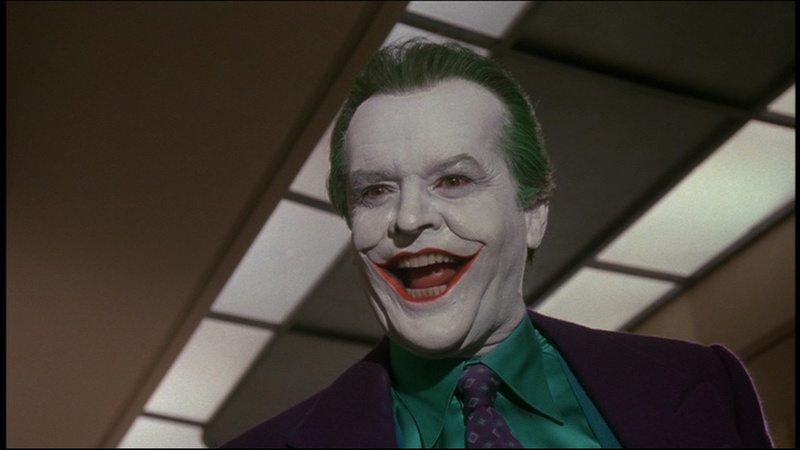 Add to that an absolutely bonkers portrayal of The Joker given by a perfect casting choice in Jack Nicholson. Nicholson almost passed up the opportunity to play the villain, but thankfully, due to a considerable offer, he signed on. This is also the first time ever that viewers received a Joker origin story. Up until that point, and in many subsequent versions of the character’s tale, we do not get the answers to why he is the way he is. This origin is perhaps not as powerful as the mystery surrounding the character, though. Now, from a technical perspective, Batman is hit-and-miss. The set decoration, for which the film won an Oscar, is incredible, but from a sound perspective, I believe the film mostly misses the mark. The sound mixing is a real loss, and the idea of jamming a great theme from Danny Elfman (I can’t believe I just said that) with original music from Prince was a huge mistake. I should point out that I do love the opening titles. How about that fantastic theme? Am I right? Another interesting tidbit from this film is in the sequence where an underground doctor is fixing up Napier after the incident with the toxic chemicals. The tools used to operate actually came from the Little Shop of Horrors props, which was remade from a 1960 film featuring Jack Nicholson way before being famous. Movies are fun, eh? Batman wouldn’t have worked if it were made in a different time period. It is darker than the overtly campy 1960s iteration and yet still embraces the silliness more so than Christopher Nolan’s self-contained trilogy. 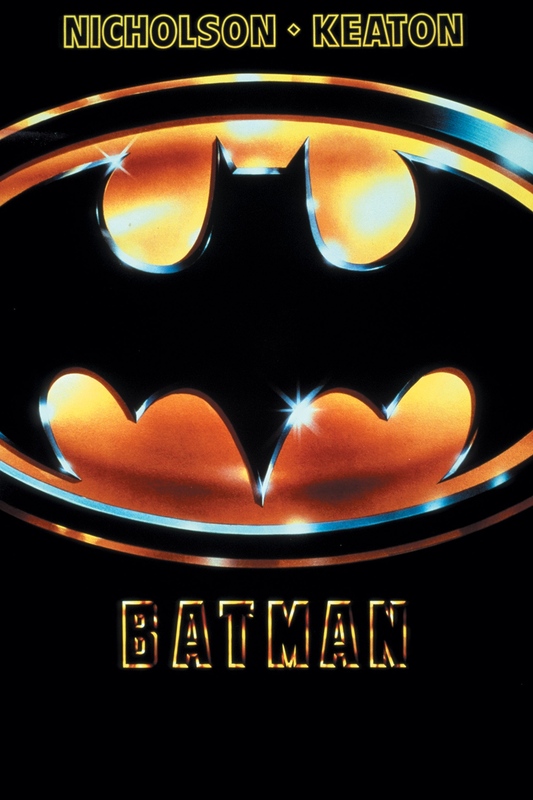 I still find the film, despite its shortcomings (seriously, how do people not know who Bruce Wayne is), to be an interesting and enjoying piece of pop art, and it was a ton of fun to revisit. For my review of Tim Burton’s Beetlejuice, click here. For my review of Tim Burton’s Sleepy Hollow, click here. For my review of Tim Burton’s Dark Shadows, click here. 101 mins. Rated PG-13 for mature thematic material, and brief language including a sexual reference. Well, there simply aren’t enough days during Oscar season to talk about movies. There aren’t. So, on the occasion when I feel like it, I’ll be talking with you on some Mondays about films the Academy has deemed worthy of admiration. Today, an Oscar winner from this most recent awards ceremony: Still Alice. So let’s begin. Alice Howland (Julianne Moore, The Big Lebowski, Freeheld), a brilliant linguistics professor, lives for her mind. Her world is that much more shattered when she is diagnosed with Early-onset Alzheimer’s Disease. 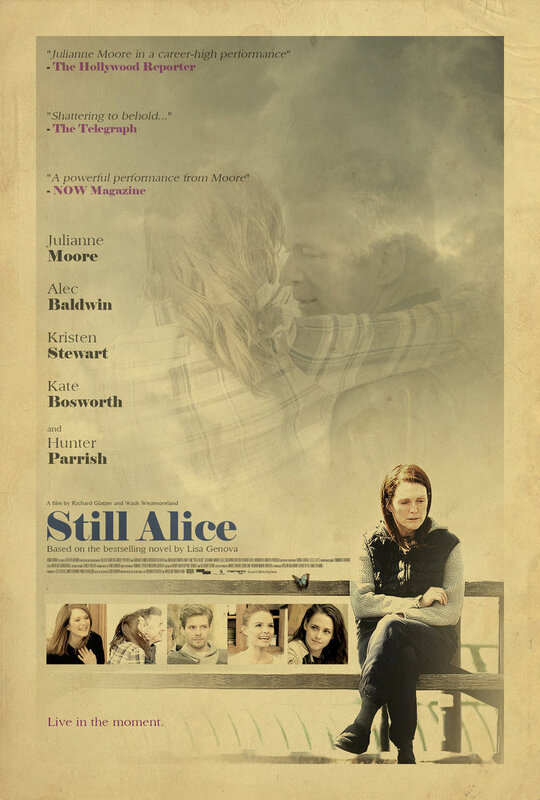 Now Alice must learn to lean on her family, including caring husband John (Alec Baldwin, The Departed, Aloha) and strained daughter Lydia (Kristen Stewart, Twilight, American Ultra) as she slowly loses the parts of her that make up who she is. Still Alice isn’t a perfect film. It has faults, to be sure. I find that the runtime could be shortened. A few of the character arcs are believable. A few of the story points are cliché. But none of that really matters. This is Julianne Moore’s film. She controls the screen in perhaps her most captivating roles. She takes viewers on a journey with her as we see Alice slowly deteriorate in front of her family’s eyes. Seeing her in her place of zen, a cabin by the beach with husband John, struggling to remember where the bathroom is. The scene is heartbreaking. There is a difficult and triumphant sequence in which Alice attempts to give a speech on her disease. Her character’s emotional and physical transformations are on full display, and Moore’s nuanced performance carries this film, so much so that the problems I encountered bothered me a lot less. Still Alice is one of those difficult movies. Like Precious or 12 Years a Slave, it isn’t a film I like to watch. That doesn’t stop it from being an important and challenging piece, moving in its own right. Julianne Moore owns the screen and her statue due to an unparalleled and unstoppable command of the craft. 300 Posts! Thanks to the Fans! Hey there everyone. Yesterday, this blog passed 300 posts, and I cannot be happier. This year has been a particularly great one for the Goatman, and I have you, my loyal fans, to thank! 300 Posts is a lot. Without the support from you readers, this wouldn’t mean nearly as much. Here is my Top 10 Most Viewed items from the last 300. You keep reading and I’ll keep writing. No Xenomorphs in Prometheus 2? What Has This All Been For? Thanks again, and as always, I invite the fans to feedback, what do you like to see? What could you live without? Comment and let me know! Teaser Trailer for The Jungle Book Drops…So Does My Jaw! Hey sports fans! I’ve been hoping this news would come soon. The first official teaser for The Jungle Book, from director Jon Favreau (Iron Man, Chef) is here. I’ve heard nothing but great news surrounding this project since the first footage was revealed at this year’s D23 and I’ve patiently (as much as I could muster) awaited the first actual public release, and yesterday, it happened. First of all, I have to point out the excellent visual presentation the trailer gives us. I have to think back on Favreau telling us that this entire movie was filmed on a soundstage. Judging from the trailer, it’s tough to believe him. This film looks astounding. It looks like it seems to have gotten a lot right, and I am actually excited to see a live-action Disney film for once (I mildly enjoyed Maleficent and still haven’t gotten to Cinderella). The one worry I have concerns the animals of the film speaking. In the trailer, we really only get to see Scarlett Johansson’s character speak, and we only see it a moment. I hear from those who saw the D23 footage that it works, but I couldn’t help feeling like they were hiding it. Then again, it’s only a tease of the film, and I trust Jon Favreau at this point to knock out an exciting film. So, Kids! What did you think of the first trailer for The Jungle Book? Are you excited to see it? And which live-action Disney adaptation is your favorite? Let me know. 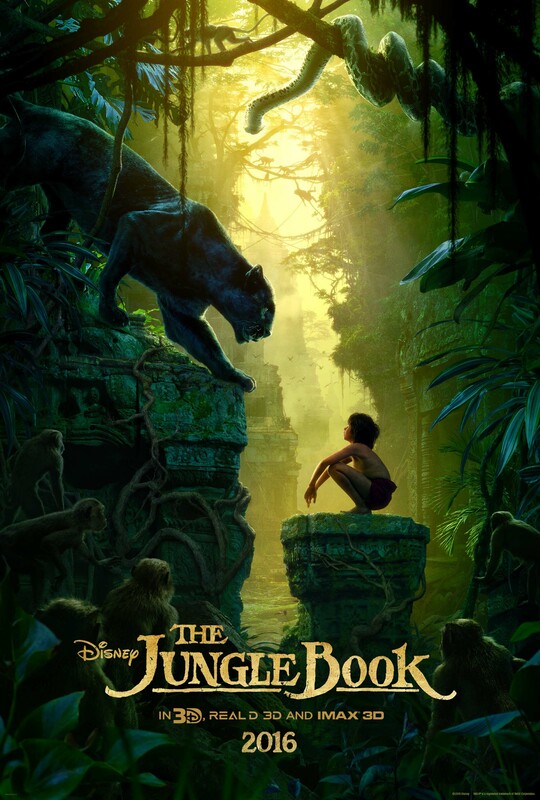 The Jungle Book opens April 15, 2016. 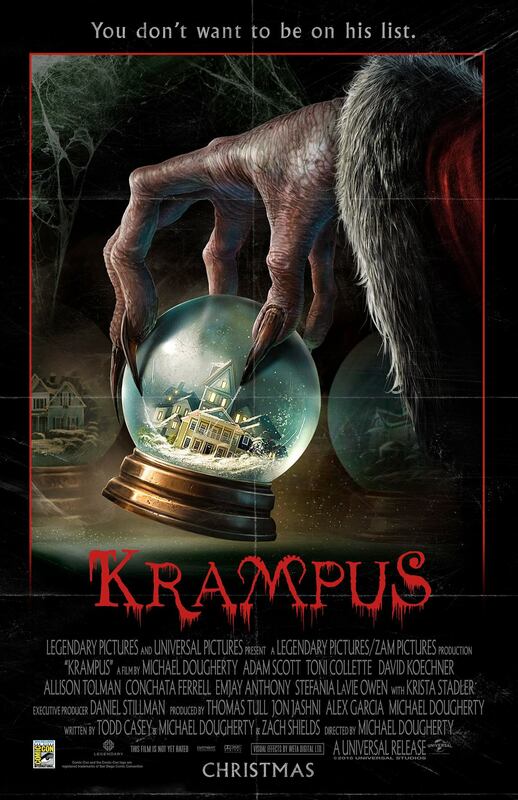 Christmas Comes Early as First Trailer for Krampus Ends up in Our Stockings! Hey everyone, I know this is somewhat old news from a couple days back, and I know that I have been busy recently (currently working on a screenplay I was hired to write, but more on that later), but I just want you all to know how insane Krampus is! So, many fantasy television series have touched on Krampus before (Grimm comes to mind), but I’m not aware of a film that has ever been made on the subject. For those of you who do not know much about this legend, Krampus is seen as a more horrific parallel to Santa. Writer/Director Michael Dougherty (who many should know from his cult hit Trick ‘r Treat) has just dropped the first trailer for his horror/comedy depicting a family trying to defend their Christmas cheer from the horrific beastly Krampus. I saw the trailer twice, and I just don’t know how to feel. On one hand, I like the tone of the trailer, but on the other hand, I question if the film can hold out that tone for the length of a feature film. So tell me, fandom, what are your thoughts on the Krampus trailer? What do you like? Will you be in the theater seat this Christmas? Let me know! Some people say nothing is off limits for a remake if you do it right. That’s true, but it doesn’t do anything to save me the pain from the remakes that are less-than-right. 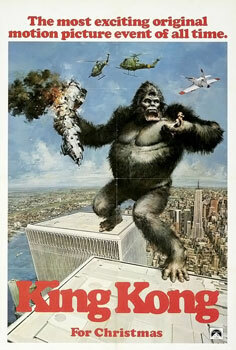 1976’s King Kong is a remake that did some great things, but it also did some bad things. Today, we will dissect King Kong in all its cheese. 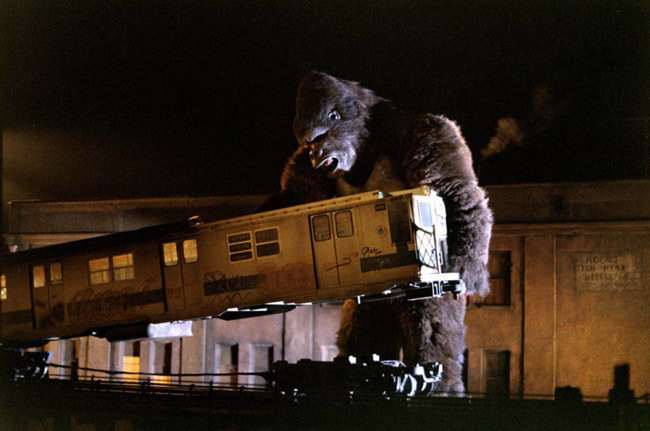 King Kong follows a similar plot to its predecessor. A ship and its crew, on the search for petrol, comes across an uncharted island and a great ape who presides over it. Fred Wilson (Charles Grodin, Beethoven, The Ex) sees opportunity for capital gain, while stowaway hippie-man Jack Prescott (Jeff Bridges, The Big Lebowski, Seventh Son) wishes to protect the island and its inhabitants from the dangerous hands of man, while the beast known as Kong has his eyes set on the beautiful and exotic actress named Dwan (Jessica Lange, TV’s American Horror Story, Big Fish). I find that the root of all the problems with the film stem from a flimsy and cheese-induced screenplay from Lorenzo Semple Jr. (Papillon, Flash Gordon), who has a shaky reputation for greatness. His screenplay has a lot of set-ups that flop and very few payoffs earned. For starters, the character Dwan, played by Lange, is awful. She is written to be annoying and unlikable, with no help from first-time actress Lange. It would seem that Kong’s entire infatuation with her is similar to the audiences: not a bad gal to gawk at. That’s about it. I enjoyed Jeff Bridges and Charles Grodin, who seem to understand the camp of the film they are a part of, though I still don’t think the tone of the film works at all. And then there is Bridges’ mane of hair, which comes off looking like 70s Teen Wolf mixed with The Lion King’s Simba. Seriously, did no one see him and giggle a bit, perhaps enough to realize that his look just was not working? Now, as far as the ape goes, I like it. It mostly works well. I like the animatronics utilized here. I think the realism of the beast works enough, but the special effects of placing him in scenes get the size all over the place. Some shots he looks practically normal-sized while other sequences completely overload his presence. I still don’t really know the size that they wanted. King Kong is probably the third best King Kong movie. That being said, it helped further the world of animatronics and for that it should be thanked. Just not very loudly. PS: If anyone out there uses editing software, can you create a video of Jeff Bridges as Jack Prescott performing The Lion King soundtrack. Just a thought.